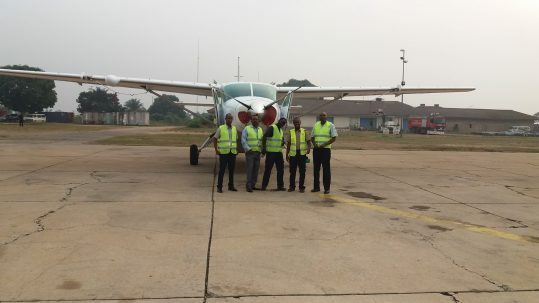 Air Serv has deployed a start up team and Cessna Caravan to Kananga, Democratic Republic of the Congo (DRC), to launch a new program in support of humanitarian organizations working in the region. July 10, 2017 saw the departure of the program’s first passenger flight. Kananga is located in the southwestern province of Kasai-Central, recently plagued by an extreme outbreak of violence and unrest. According to Medecins Sans Frontieres, it has become the center of one of the most serious humanitarian crises in the world.